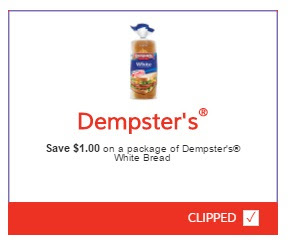 Dempsters has a new coupon for $1 off a package of Dempsters White bread! This is a printable Smartsource coupon. You can print it twice per computer.